Living for Christ, and faithfully enduring until the end of this age will involve considerable afflictions and a multitude of tribulations. With the establishment of Christ’s kingdom, the true second gathering of the Israel of God will occur. The interim sorrow that the redeemed experience is to be replaced with eternal joy once their redemption is fully realized. The Elect that partakes of the first resurrection shall inherit the kingdom and reign with Yahshua for a thousand years. As well, the second death holds no power over those that take part in the first resurrection unto eternal life (Isaiah 35:10, 51:11, Mat 24:13, 25:32-34, Mark 13:24-27, Rev 20:4-12, 21:76). Living for Christ involves the ability to watch and pray. We must stay awake, or be vigilant, and prayer is an important part of this process. It is not at all difficult to love Yahshua once the realization of what He has done for us becomes our greatest treasure. Mat 13:44 Again, the kingdom of heaven is like unto treasure hid in a field; the which when a man hath found, he hideth, and for joy thereof goeth and selleth all that he hath, and buyeth that field. The earnest, which is the down payment of our inheritance with Christ, is that we are sealed with the Holy Spirit of promise. This contract that is a gift is given to the elect, and it enables them to walk with Yahshua regardless of the circumstances encountered along the way (Eph 1:13). Living for Christ involves a faithful walk with Him; to know of Him is not enough. Also, are we really following Christ if we are not actively sharing Him with others through our words and deeds? There is only one true God who can illuminate the path we must follow unto eternal life. Every other road leads to chaos and destruction (Mat 7:13-14). The fulfillment of our contract with Christ is our redemption, which is realized when He returns with our Salvation (Eph 1:14, Heb 9:28, 1 Peter 1:5). John 14:15 “If you love Me, you will keep My commandments. How many can today distinguish the difference between the Words of God and the doctrines of men? Living for Christ involves keeping His commandments. Christ also came to redeem those that were under the law, that they also might receive the adoption of sons. It is preposterous to claim to be justified by the Law of Moses, and say that we love the Messiah (Gal 4:5, John 1:17, Rom 3:20). The New Law of Christ is not only better than the old one, it is also the only option available (Luke 5:36-38, Heb 8:13). Isaiah prophesied that God’s people would know the new Covenant of Christ and it would be in their hearts and minds (Isa 51:4-7). This passage refers to the true Israel of God, which includes all believers in Christ. Those that truly embrace His commandments are most definitely not under the Old Testament law. Our understanding of the gospel must not be based upon the doctrines of the false teachers in the Christian church. This type of worship is considered to be vanity and is deceitful (Mat 15:8-9, John 4:24). 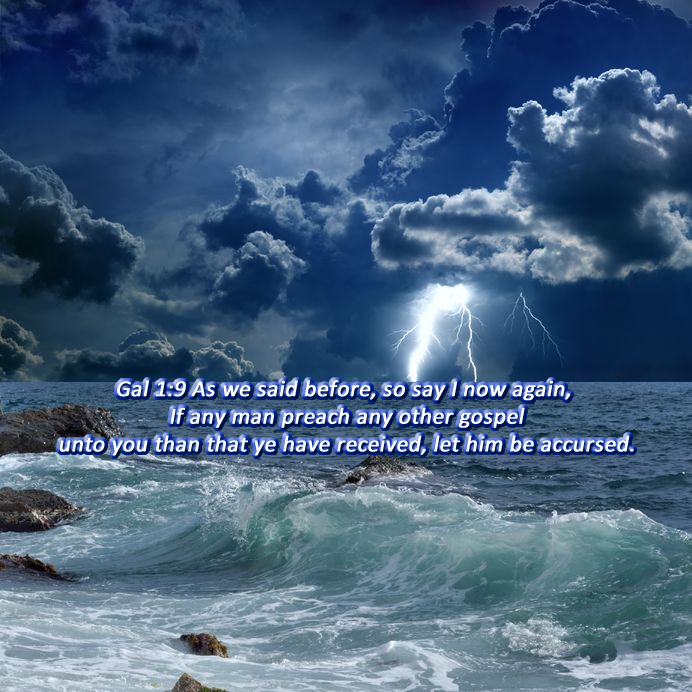 1 Cor 1:17 For Christ sent me not to baptize, but to preach the gospel: not with wisdom of words, lest the cross of Christ should be made of none effect. True joy, wisdom, and power only come from a Spirit-filled relationship when Yahshua dwells within us. Our faith must not be based on the wisdom of men, but in the mighty works of God (1 Cor 2:5). The false teachers in the Christian church deny the Lord by reason of their damnable heresies and bring upon themselves and their blind follower’s swift destruction (2 Peter 2:1, John 16:7, Luke 6:39). If we are living for Christ we need to be as wise as serpents and as harmless as doves. Those who are truly living for Christ will know the truth, and it will set them free (Mat 10:16, John 8:32, John 14:6). The truth is one of the fruits or byproducts of the Holy Spirit that dwells within us, and it is an essential piece of armor that protects us from the devil (Eph 5:9, 6:14). 2 Tim 3:7 Ever learning, and never able to come to the knowledge of the truth. The reason so few come to the knowledge of the truth is because they are under the control of false teachers. This is the identification of a Christian cult. These more often than naught never graduate and partake in the ministry of serving Christ. This is similar to aiming for a degree in a certain field, without ever being able to leave the classroom, because the necessary skills are never obtained. We are not to depend on the teachings of man for our answers. We all should be able to give an answer, to everyone that asks, for the reason of the hope of Christ that is within us (1 Peter 3:15). Those who are Sealed with the Holy Spirit of truth have the mind of Christ. It is His Spirit in us that produces a true faith, and a sure hope of righteousness that can be received by those who endure unto the end (Gal 5:5, 1 Thes 5:8, 1 Pet 1:3, Mat 24:13, 1 Cor 2:16, 2 Cor 1:22, Eph 4:30, John 16:13). It is a great tragedy to never experience the true indwelling of the Holy Spirit, and yet claim to be born again without any evidence that this transformation has taken place. Those who are born again serve the one true God. There is but one true faith and one baptism that leads to Salvation (Eph 4:5, Mark 12:32, 16:16). Rom 8:8-9 So then they that are in the flesh cannot please God. But ye are not in the flesh, but in the Spirit, if so be that the Spirit of God dwell in you. Now if any man have not the Spirit of Christ, he is none of his. The ability to truly understand Christ and His life-changing testimony is impossible without His Spirit. So then, we are not automatically born again because of a profession of faith alone. Reciting statements of faith without the indwelling of Christ’s Holy Spirit that enables this transformational process, is simply an empty formula of words without substance. This is a false promise that false teachers tell their congregations, and it leads to death and destruction (John 15:26; 16:13; Eph 1:13). Far too many have a false sense of security as a result of the great deception within Christianity, as a result of the deceptive teachings of men that are without the Spirit of Truth. These charlatans, who are only interested in worldly pursuits, prevent their followers from growing in the Lord and having a true relationship with Him. In order to have a personal and intimate relationship with Christ, we must have the knowledge of His truth. This is only achieved when we receive His Spirit of truth (1 Cor 2:11-12, John 14:17). Many that claim that they are living for Christ, but they deny Him by their self-centered and materialistic lifestyles. 1 John 2:15-16 Love not the world, neither the things that are in the world. 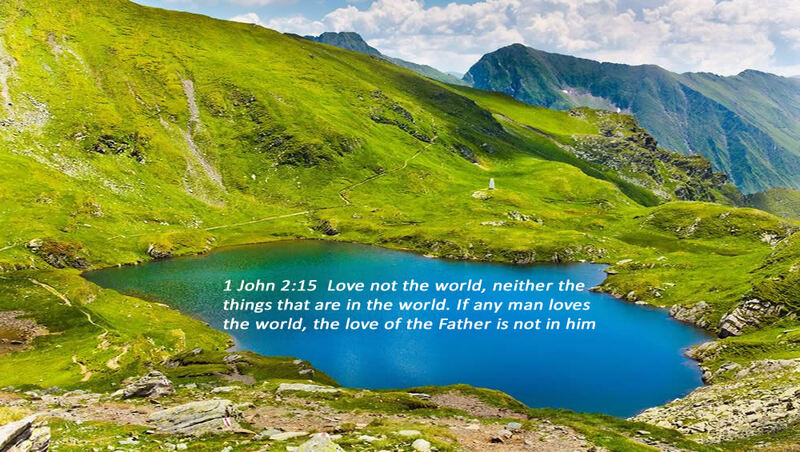 If any man love the world, the love of the Father is not in him. For all that is in the world, the lust of the flesh, and the lust of the eyes, and the pride of life, is not of the Father, but is of the world. If your earthly existence consists primarily of laying up treasures for yourself on this earth, then you are not living for Christ. How many will be damned because they were not rich towards God (Luke 12:21). Living for Christ is seeking the kingdom of God first. Contrary to what the new age prosperity preachers declare, the answer to Mathew 6:23, is found in Mathew 6:20. When you surrender to the lusts of the flesh, and the deceitfulness of riches, you’re in love with the things of this world and are in effect living for yourself. Those who are truly living for Christ treasure spiritual things. Judge yourselves so that you will not be judged by God (1 Cor 11:31). Those who love this present evil world are deaf, dumb and blind to the true message of Yahshua. They say that they can see, and yet they are quite blind. They claim to hear but are all but deaf. They say that they understand, however they understand not. 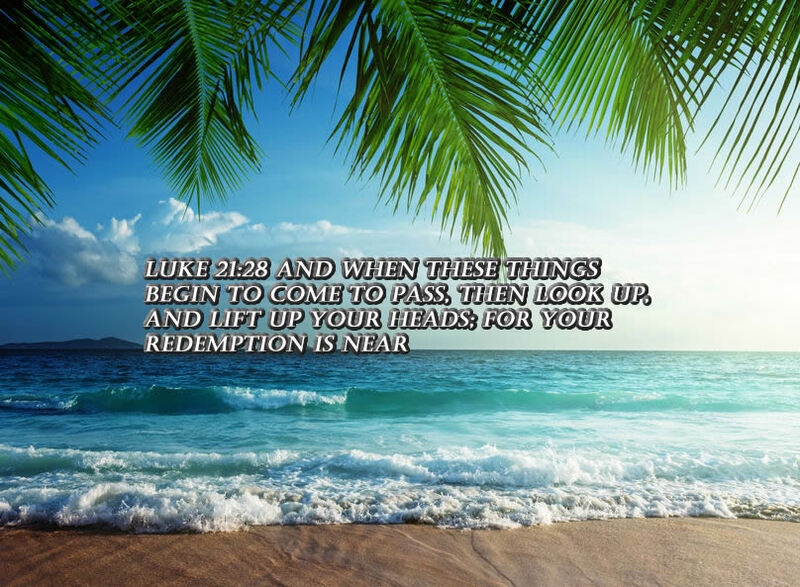 Luke 8:18 Take heed therefore how ye hear: for whosoever hath, to him shall be given; and whosoever hath not, from him shall be taken even that which he seemeth to have. It is easy to masquerade using a disguising pretense, and thus cloak or hide a self-serving agenda, under the pretext of operating as the servant or spokesperson of God (2 Cor 11:14). It is obvious that the Words of God and the doctrines of men are at odds when an audience receives deceptive teachings and is left feeling comfortable and at ease.